Q. Are Gummy Bear breast implants safe? A. Yes! MENTOR®’s Gummy Bear breast implants have been used in 70 countries for more than a decade. Additionally, you can be assured they are FDA-approved since 2012 and safe for your use. 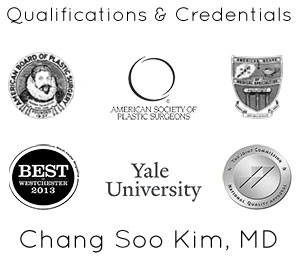 Dr. Kim is board-certified and is highly trained to provide the best care for his patients when undergoing augmentation. Also, all MENTOR® implants contain no latex, and those sold in the US are manufactured right here in the USA. Q. Compared to other breast implants, are Gummy Bears expensive? A. Taking all factors into consideration, in the long run Gummy Bear implants are generally considered long lasting and cost effective because they don’t leak or tear which gives them an increased longevity when compared to other implant types. They are less likely to need to be replaced than many other implants. Q. Am I a good candidate for Gummy Bear breast implants? Want to correct or improve the results of a previous augmentation surgery. This includes the replacement of an existing implant, known as revision augmentation. Gummy Bear implants are an option for women who have lost breast tissue to an injury or cancer, or want to correct a congenital anomaly. As with all surgeries, your doctor should be made aware of any previous conditions or medical disorders that could influence how your body would react to surgery. Q. Who is not a good candidate for breast implant surgery? Q. What shape options do I have with Gummy Bear implants? A. Round with a round base, teardrop shaped with a round base, teardrop shaped with an oval base, or teardrop shaped with a classic base are the shape options, with teardrop being low profile at the top and a higher profile at the base like the natural shape of a breast. All shapes come in smooth or textured options as well. 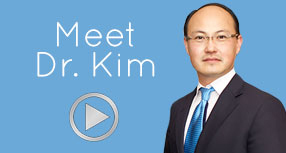 During your initial consultation with Dr. Kim in Westchester New York, your body measurements and personal preferences will be used to decide on the perfect option for you. Q. What are the risks involved? A. Any breast implant surgery comes with risks. There is a small risk of local complications with Gummy Bears. This could happen at or near the incision that was made on the breast. Q. How should I prepare for my augmentation procedure? A. In the 48-72 hours after surgery, limit your physical strain, especially in the areas that might place strain on the incisions. Arrange for care of your children or pets if necessary. Plan to wear comfortable clothes the days directly following, and just in case your recovery takes a little longer than expected, make sure to have some food in your refrigerator and prescriptions filled. The morning of your appointment, you should shower, but do not apply makeup, perfume, hair products or jewelry of any kind. Wear a front-opening shirt, thick socks to keep your feet warm, and clothing you can move easily in. If you normally wear contacts don’t put them in prior to your procedure. Wear glasses or bring them for when you are ready to go home. Dr. Kim and Bellava MedAesthetics & Plastic Surgery Center of Westchester want to make sure you are as comfortable as you can be with this both procedure and after your appointment. We welcome you to contact us online or at 914-864-2140 with your questions, and to schedule your free consultation to see if Gummy Bear implants are right for you.